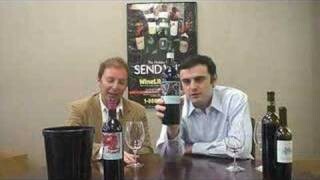 Wine Library TV | 2001 California Cabernet tasting and remembering. 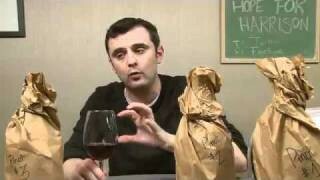 Today Gary Vaynerchuk tastes through 3 different California Cabernet Sauvignons. 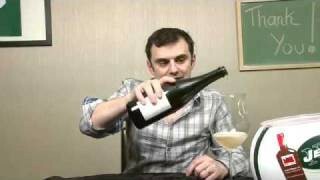 Also Gary wants you to ask whatever wine questions you have in the comments section that you want him to answer. Todays episode is a real interesting one for many reasons, please check it out! Went to a crazy tasting on friday, probably tasted 50 wines (that’s a lot for me) then at night had a dinner with friends and a chianti theme, nothing special stood out, then sathurday friend’s birthday in a wine bar, had 4 bottles but nothing stood out again. 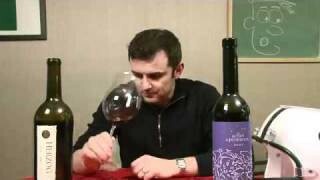 EP 242California Cabernet Taste Off. 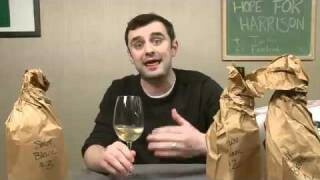 Gary, Will you offer special tasting cases of your recommended wines? 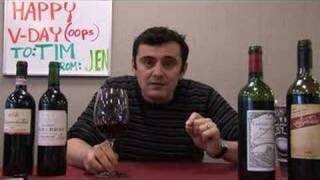 It would be a great way to calibrate our tastes with yours and try many different wines. Nice tibute Gary. I do not think any of us will ever forget that day. BAD….BAD day for the Bucs Sunday……what else can I say….. 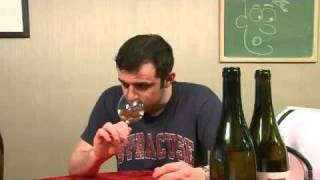 Your QOD… Domaine De La Garrigue Cotes Du Rhone Cuvee Romaine 2004. I purchased from WL. I supplied the wine for my son’s wedding rehearsal dinner. It was better wine than the restaurant offered for the money. 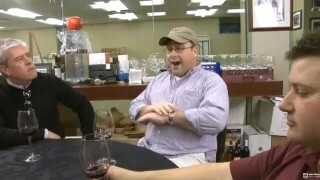 I had many positive comments about the Cotes Du Rhone. Great wine for the money. I have also had two wines recently I like a lot. Baldacci Cabernet(2001 & 2003) and Reynolds Family Winery Persistence 2002 (red). They are both great. My question for you. What is the mid-palate? Is it the part of the tongue or is is the middle of the taste? Old World (Europe), wines that speak of the earth and a sense of place; versus fruit-driven, big and bold wine styles from the New World (The Americas and Down Under). Agree with answering: best decanting tips (how long for what age, varietals) and how to know when to drink various types of wine. Another solid episode and it was nice of you to touch on some of the things going through your mind 5 years ago. As far as what I am/have been drinking, I had a 2003 Gabbiano Chianti Classico (from WL) last Sunday with some pasta as I watched football all day long and tonight I am going to a dinner party and am bringing a couple of nice white wines. A 2004 interesting white blend from a small winery in Oregon and a bottle of a semi-dry sparkling white from Renault Winery in our great home state of NJ. I hope they both deliver………. As far as my question goes, what are your thoughts on the 2003 Chateau Cap de Faugeres Bordeaux? I bought a futures case from WL when it was offered and I have read a lot of great reviews of it but I have yet to try a bottle!!!! Any insight would be great. Thanks! Delectus is a GREAT winery. I’ve been there and met Gerhardt and the amazing woman that helps it run, Liz. The Cab is just the tip of the iceberg from them.A star in the making. 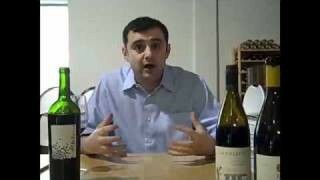 01 Ornellaia Le Serre Nuove…wow.Loved it. It got better and better. Drinking the Kobalt cab. Outstanding. I too remember where I was on 9/11. It must have been surreal for you guys. QOTD – Languedoc Voigner, I love the aeromatics on this wine but I am getting close to that threshold…I think I have had about 2 cases of this over the summer so need to move on. I also have been drinking a 2000 Weinert Cabernet from Argentina which as been a relatively good QPR for everyday drinking. God Bless America – Very nice tribute – that was amazing to hear from someone much closer to the event. Wow – not much else to say. This was a really classy way to commemorate the day GV. I know it was crazy for you tri-staters- it was weird enough for me who had just been to the city and went to the observation deck on the tower while visiting. QOTD: Well, I’ve been drinking the 2005 Le musclÃ© and the 2004 Bertrand BergÃ© cuvÃ©e ancestrale. Tonight I cracked open something exotic- Boutari Retsina (not quite sure of the vintage). Decided to try a Greek wine. Not a fan of this because it’s aged in wood casks with pine resin. I feel like I’m eating the forest floor in Maine. You’re scared of the Oak Monster GV (as am I), but I found something worse- the Pine Monster! well there’s always tomorrow. 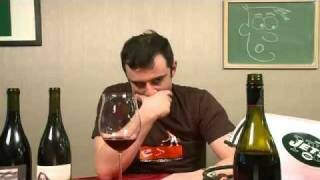 So with that, I’d like to see you do a vin jaune episode, and one on a charbono tasting. Last wine I had? Actually was a charbono, gave the ’07 Robert Foley a try. Hadn’t had it for a couple of vintages, better than the last one I had. Also had a killer Priorat the other day, been tasting some Jura wines recently too. I’m always on the lookout for the lesser known gems out there.